We maintain a fleet of EVOC bike travel bags. 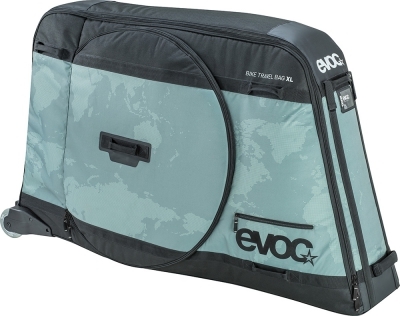 The EVOC Bike Travel Bag and the EVOC Bike Travel Bag XL are the ideal travel cases for safely transporting your bike to and from your biking destination. Both bags are weight minimized and protection maximized. Trust these rider tested designs to protect your bike - not a cardboard box. The EVOC website has all the product information you need to make an informed decision. See how to pack an EVOC bag. Planes, trains, boats, buses, trucks, cars - wherever your travels take you.